The release date for the new set can’t be far away. As players continue to anticipate the release of Hearthstone‘s latest expansion Journey to Un’Goro, which could be now just a few days away, more cards continue to be revealed—including even more massive dinosaurs. 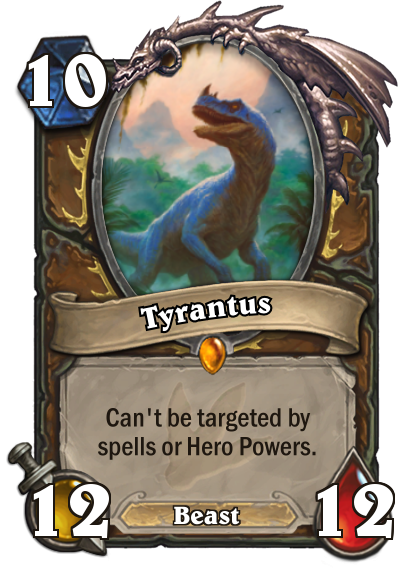 The new Druid legendary, Tyrantus, is the biggest dinosaur of all, at least stat wise. A 10-mana 12/12, it is also unable to be targeted by spells and hero powers. But is it any good? A 10-mana card either has to be incredibly powerful, or impact the game significantly as soon as it is played—and Tyrantus does neither of those things. Druid is still likely to be defined by Jade, so this is unlikely to see play. The art is cool, though. Tyrantus was the only legendary revealed in the past day or so. 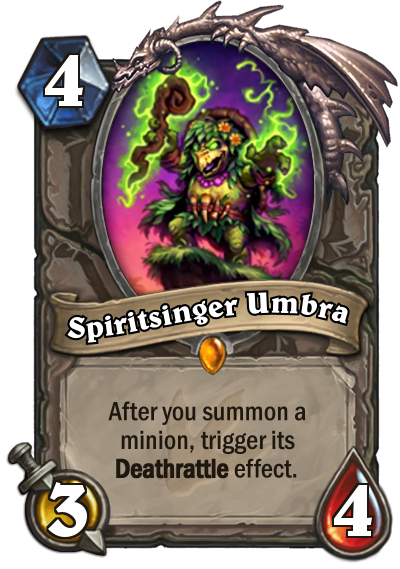 Spiritsinger Umbra, a neutral legendary, is like Brann Bronzebeard for deathrattles. When Umbra is in play, any deathrattle minion played will have its deathrattle triggered instantly. 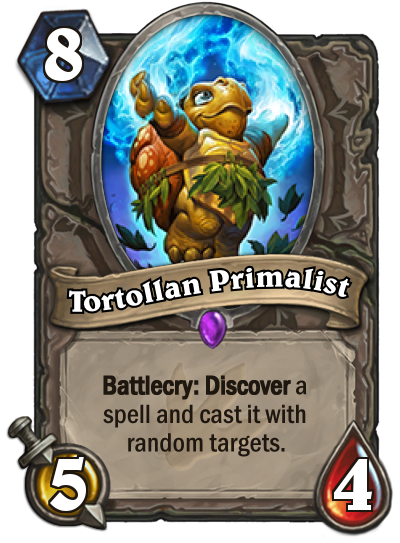 Speaking of unviable cards with adorable art, Tortollan Primalist has a smaller version of Yogg-saron’s effect. The player gets to choose a spell with the Discover mechanic, but the spell is then immediately cast on a random target. That can include your own minions, or your face. 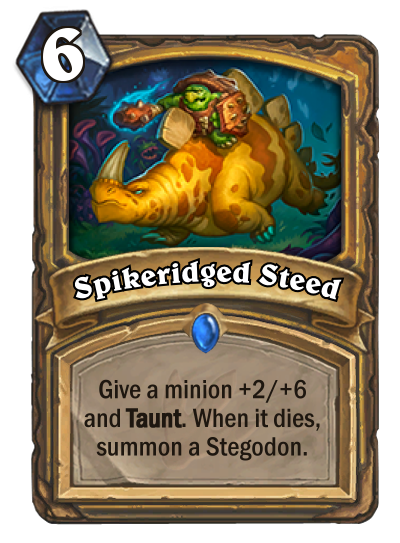 Paladin is getting a lot of buff cards in this expansion, and Spikeridged Steed could well see play if the class has a viable slow build. The card gives a minion +2/+6 and taunt, and a deathrattle that summons a Stegodon. 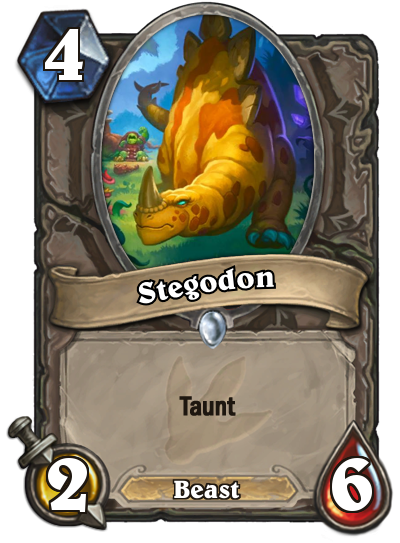 The Stegodon is a collectible common card which has the same stats. This kind of double taunt effect was present in Sludge Belcher, an incredibly common and powerful control deck card before it rotated out of Standard. More cards will be revealed in a developer stream later today, with the remaining cards in the 135 card set released soon after. By the end of the day, players will have the full picture of what the game will look like when Un’Goro is added.